The Galactic Mayan experiment is also part of a grand act of Planetary Alchemy. Despite surface appearances there is a secret planetary alchemy occurring behind the scenes. The more we cultivate our own inner connection to SOURCE the more we assist this divine alchemy. It is from this SOURCE that our life is directed. It is from this SOURCE where all solutions to our problems lay. 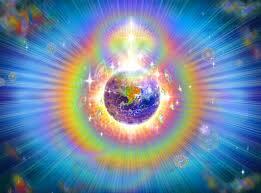 We as a collective are so externally oriented, but now we are being called back to Center. The choice is ours as we live in the free will experimental zone. At this time there are many streams of karma at play, our own personal karma, planetary karma, lost world karma. The most direct way to bypass karma and cut the cords of repeating more lower-dimensional tape loops is to make our connection to Source our top priority. It is from this Divine Source that all star systems are sprung and that all timespaces are created. If life feels complicated, relax and allow yourself “time” to return to Source. Breathe and dissolve all thoughts and preconceptions about everything. Just let go and dissolve. Feel your heart and allow the warmth and love to envelop you with no resistance. The closing of the great cycle represented the completion of the Cycle of Becoming. We are now on the Cycle of Return: Return back to the Source of Creation where what has been hidden is now being revealed. We are not alone. More help is available now than ever. But we have to ask. Keep knocking and the Magic Gates will swing open. Prepare for accelerated inner revelations. Only when all is revealed can the Great Renewal occur. 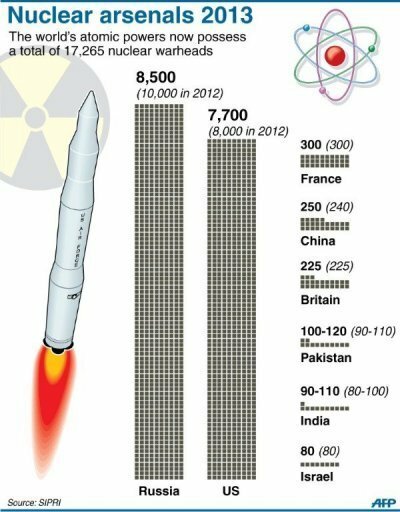 Also we see the continued proliferation of nuclear arms and growing radiation in our oceans and soil. If we look at just the third dimension alone the situation can feel hopeless. We take all of this into account, while simultaneously not being fooled by the world of appearance. (See previous blogs on lost worlds). The stages of ancient alchemical processes can be traced to the work of nearly all prophets, seers, sages. 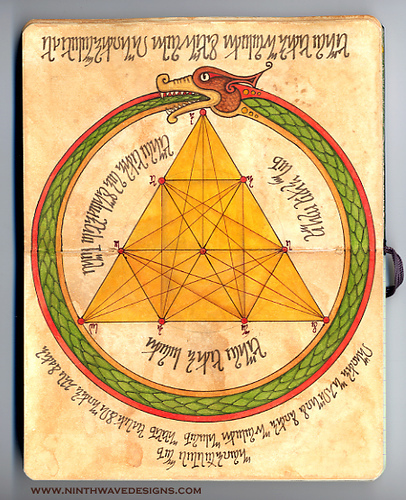 Alchemist Herr von Welling says that there was no material universe until Lucifer, who, attempting to perform cosmic alchemy, misused Schamayim, or divine fire. In order to reestablish the Schamayim which Lucifer had perverted, the universe was formed as a means of liberating it from the dark cloud within which it was locked by the failure of Lucifer’s attempt to control it. Pacal Votan is depicted on his sarcophagus lid (placed on his tomb) in a most unusual position. Above him is the cosmic tree in the shape of a traditional Christian cross and a bird which represents the bird of paradise. This represents a scene of resurrection — an alchemical elixir. In Galactic Mayan cosmology Pacal Votan is known as a solar lord. Pacal means solar shield. Gold (the goal of alchemy) is also knows as liquid sun. In alchemical texts the “solution” is digested for a certain length of time, and then turns into a RED ELIXIR, which is called Universal Medicine. This is the meaning of the ouroboros, the serpent biting its tale, resulting in Planetary Healing. Galactic Mayan cosmology tells that in the process of the evolution of the star system, planet Earth (Velatropa 24.3) became separated from the natural timing frequency that the rest of life in the universe is functioning on. At this point the material nature of the third dimension became crystallized, making the humans forget the Larger Mission of the Divine Plan. At this time, money became the chief god and form of control. As a major alchemist observed, “A man’s quest for gold is often his undoing, for he mistakes the alchemical process, believing them to be purely material.” (i.e. trading galactic/solar consciousness for sole pursuit of material wealth). The fundamental key to alchemy is to transform lead to pure gold. In our case the “lead” is our dense third-dimensional conditioned body, and the “gold” is our evolved fourth/fifth-dimensional body. 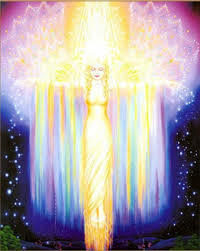 This process is called regeneration and in the material body of the elements is referred to as transmutation. The priests of Egypt used the scarab as the sign of regeneration and within it discovered many analogies of the secret processes where base metals could be turned to gold. In this way what we refer to as the Galactic Mayan civilization and the Mayan system of astronomy and mathematical “calendrics” (or more properly: synchronometrics) is to help in this grand alchemical experiment of transmuting planetary elements back into pure gold, hence the New Golden Age and the dawning of the Noosphere — the Mind of Gaia made manifest. This is all part of Planetary Alchemy, sometimes referred to as 7th ray ceremonial magic. The Rainbow bridge is a galactic engineering project in tune with stellar evolution of our local star, the Sun. it is a cosmic event. The point of it is to establish a telepathic matrix bonding a critical mass of humans with the planet’s etheric, electromagnetic and biopsychic fileds. 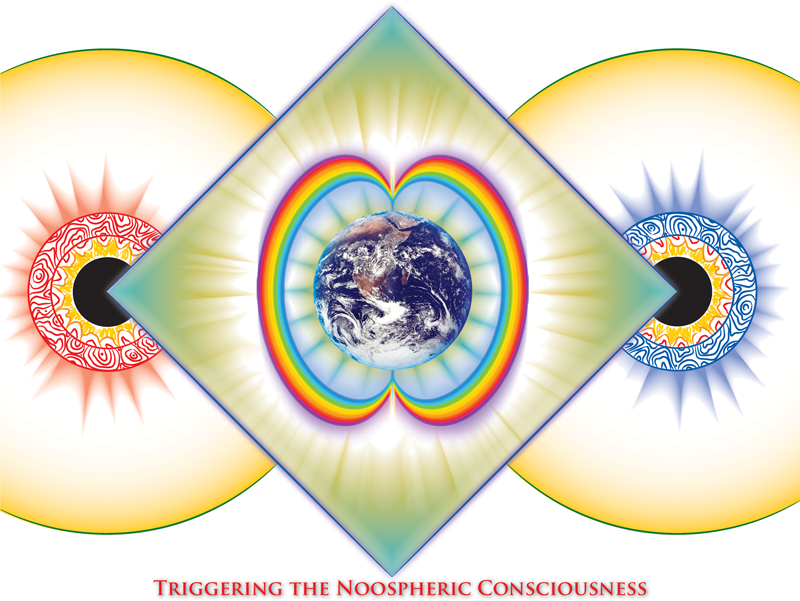 Through such a matrix, the collective telepathic mind is intended to engage the auroral flows from both of the Earth’s magnetic poles and entrain them into joining each other permanently, creating a circumpolar rainbow bridge around the Earth. Gold whose atomic radius 144 is the number of the elect. These are the numbers of gold, the alchemical secret revealed in the gold of Shambhala, creating the Lake of Gold, the spiritual wealth of the elect. Most interesting to read this..and as usual …most synchronic.. yesterday my daughter ..planetary serpent did me a little card reading.. she drew..the resurrection, and the cruxificiorn I felt the cards were speaking of the gathering at Shasta..which I am planning to attend . this morning here in Australia, it is kin 214 plantary wizard, and the psi is rhythmic hand.. as im elec hand, wizard is my occult..so I sat and meditated ..id like to copy it here.. as I see you write of the gold.., in my meditation..which felt almost like a ‘samahdi’..I was so deep, a huge serpent surrounded my body..it was gold.. I wondered why I would see it this way, rather than red..but your post explains this me me now. 6/6/2013 is 6/6/6 todays number…3×6 is 18 is 9 completion..6x6x6 is 216.. is 9 is always completion. today is white planetary wizard..the psi is blue rhythmic (6 )hand.. another 6.. 6x6x6x6 is 1296 is 18 is 9… always completion. I realised as I read this mornings kin.. white planetary wizard, and see the psi bank is blue hand I realised that the day..is my occult kin, and the psi my seal.. I sat and meditated… deeply in 'profound samadhi'.. gate 108 alpha alpha….I am connected to all of today.. all of this moon… today is my inner occult power…I discovered it. the serpent changed, it surrounded me..it was huge, and it was gold.. it head was large and I could actually hear it..making a noise..the sound was outside of my mind.. ..seemed to be outside the window… maybe it was in the room.. its was as tho it was sss sssss sssss … I had no idea what it could be in reality out there, so I just accepted it was the serpent come to surround me…guardian..
it became golden.. , wrapping itself around my body and taking me deeper into 'samahdi'.. deep medtitation..so I that at times it was a struggle to stay in that state… feelings of nausea came and went, then deeper still. during this time I realised also..that I became the telektonon..I understood what it meant totally..
that yesterday discovering my 4th 7.. made sense..and in this first day..kin,of the second week of the crystal (12th) moon….for me it is pure connection and extension of the 21/12 dec… it is the week of refinement..which is what happened to me this morning..
refining that inner power in order to work towards, transformation and ripen … perhaps for being in a galactic and empowered state … come 24/25/26/ july..2013 .. mt Shasta ? the state of becoming the telektonon.. the speaking tube… spirit and earth… that is my job.. it is what I do each day.. the telephone line from spirit discarnate, to spirit incarnate..
it is what each of us have the power of being… telektonon our own connection to our galactic self.. our own connection to spirit…we are the telektonon. I sat for an hour deep in the samahdi..meditative state… I felt the power of the white wizard… my occult… I felt the power of monkey..the magic of my guiding force.. I felt the power of human..analogue.. my free will and I felt the red earth challenging me and illuminating the path that I choose to walk.. as I have free will by my side.. I saw that I am of earth…yet..also realised now… my connection to Maldek… for the first time I felt it.. I saw it. I then saw a 5 pointed star of spirit discarnate around me, and I reaslised that also this 5 pointed star is me.. head, two arms, and two legs.. I saw how those 5 have passed over and how they have surrounded with me , showing me the synchronic order of divine law without a shadow of a doubt.. all has been in order.. I just want to say that since 21.12 all of my 3d reality has been falling as a building on an earthquake, i am not anymore who i was, actually im under an “i am not myself” experience. I feel my head connected to the stars through the holomind perceiver frecuencies i everyday track, but mostly i have a permanent inner instruction on “let go and hold to nothing, let everything be transformed, everything” it is very intense, im talkin here not only about 3d survival structures like jobs, but also familiar relationships and friends, everything is spinning fast and i am confronted with situations where my brain shoots a lot of reactions that i woud not act, remaining in receptivity and patiently waiting for the NEW SUN to raise into the surface. I share this here because i am sure that many of us if not everybody is going through similar situations. My 3d self or ego is really hurt and broken now, like Lou Reed said on his album Ecstasy on the song “Tatters”i think, “I have a hole in my heart, the size of a truck, the size of a truck”, but i also have the inner candle light of vision and faith, and im looking towards the next meeting well have here in the Star Zone, the Noospheric council, and i know for sure that as painfull it may seems this splitting of the worlds, this Maldek shattering memory, the whole of our reality will be sooner than later placed in harmony and octaved up to the cosmic tune of the star masters simphony. Thank you RQ185 ! May we all let our past lifes be transmuted into GOLD so we may be reborn on the New Time as a New Collective Unified Self ! When we were in Palenque, and I met with my other me, I brought to him as a gift an egyptian scarab. I had a set of two identical scarabs, I knew one was for him, and one was for me. Now I understand what they are for. Thank you! Just like we did in At-tin, 95, The Tin Mountan, where the word “shape” occured in 21’th word from the bottom up, it roughly says that we are shaped into best of shapes, after we came down from the mountain of heights. The 95 have 34 words. The golden ratio point lies in the 21 word, from the bottum, up. Our facial features to are all according to golden ratio. The 21 world was said in golden raito point, 34 / 1.618 = 21 word, from bottom up. From the bottom up in the quran, with 71 chapters up we reach= chaper 43 “the golden ornaments”, because the relation is a+b / b = a/b = phi = 1.6180..
taking either a or b to be the larger or smaller length. Bottom of or forefront. The relation is the same. The Golden ornament also again have, 89 verses, which is a fibonacci sequence, 11’th iteration, 89 , so 89 verses in total, in The Golden Ornaments. The golden ratio from the bottom up, 89/1.618= 55’th, from the bottom up, i.e. 55’th verse from bottom up, you have to count the bottom verse 89, as 1, then 55 up, you reach the 35’th vers. So we took the larger distance a(large) + b (small), = a(large)/b(small) = 1.618 where a was from the bottom up. still the above relation remains the same. We have not changed anything mathematically, the relation does not care wether you turn the a golden ratio proportion length opside down. It still remains the same, in the mathematical eucledian space. 31/01/1990 and number 31 01 1990 is – incredibly – both divisible by number 19 and 1230, the gematrical value of “Rashad Khalifa”=1230, in arabic/hebrew. 31/01/1990: 31011990 = 19 x 1230 x 1327. Furthermore, if we consider the initialed suras subgroup – from which Rashad derived his 19 based theory – verse 19:1 (the initials “K.H,Y.A.S.”) is the 1230th verse of the Quran in such initialed suras, and the last verse of sura 19 is the 1327th verse. He tried to remove two verses to fit, his “so called” multiples 19 miracle. Our argument is 19 multiple mircale, are only supposed to work in 74, 96(the first chapter sent) 19 chapters from the end, and 72 (where enumeration is mentioned) , because both 19 and counting is mentioned. And when it occurs in consective terms, in one chapter, which makes the probability very smalle, 1/19, 1/57, … 1/19 x19 , 1/361 = 0.0027, then you have the right to call it a mircale. Otherwise if the relation doesn’t fit, in chapter 9, then don’t remove verses from the Quran. It just is. So golden ratio point of the Quran in terms of vers numbers. 3854 = 37:66 They will fill their bellys from it. It speaks about a people of hell fire, used to deny the signs of the quran, their reward is thorn fruits, of smelly foul smell, and melted iron poured down their throat, they will eat and drink like thirsty hungry camel. For eternity. Take from the bottom length to your belly button. Then take the lenghth from your top of your head to the belly bottom, take the larger side, to smaller side, the ratio is 1.618 the golden ratio.